Is it possible to transfer files to a network drive? 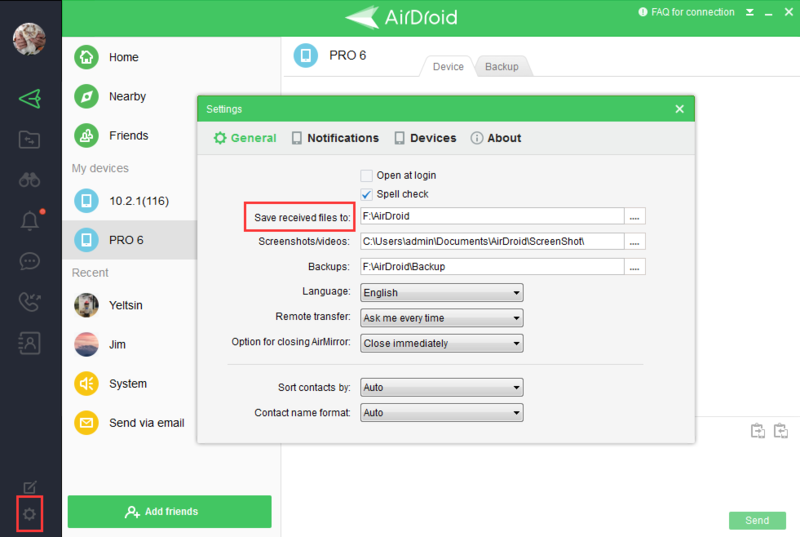 I've just downloaded AirDroid and AirDroid for Windows. Is there any way to change the default file location for transferred videos to a network drive? I can see the network drives in the AirDroid app, but the "OK" button is greyed out when I try to select a folder on a network drive. Re: Is it possible to transfer files to a network drive? You can go to Setting > General to change the default file location for receiving files.